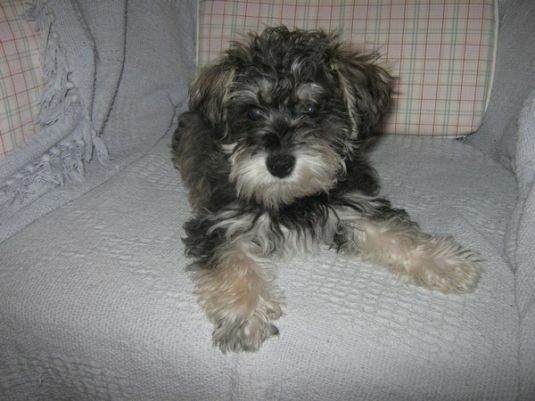 He is a lovely cross breed of Bichon Frise and Miniature Schnauzer. He was born on the 11/01/11 in Carmarthen, Wales. His favorite food is chicken and rice. He loves to play with other dogs.